Foraging for food in the supermarket is just a bit different from foraging for food in the wild, wouldn’t you say? While both scenarios present a set of challenges (in the supermarket: beating the weekend rush, using coupons before their expiration dates, enduring the dreadful parking lots, etc. ), wild food foraging may be known to pose the more immediate threats (misidentification, embracing the elements of nature, etc.). 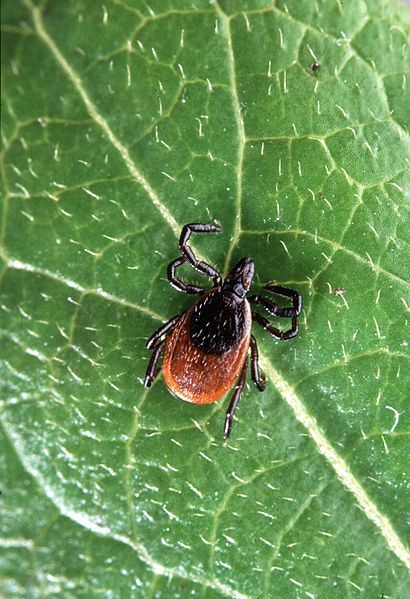 One of the challenges of being a wild food enthusiast in Pennsylvania is exposure to ticks. These small arachnids, particularly the deer ticks (i.e. blacklegged ticks), are no small threats, as they are vectors for illnesses including Lyme disease, ehrlichiosis, and anaplasmosis. Typical precautionary measures include wearing long sleeved pants and shirts, wearing light colored clothing to easily spot the presence of ticks, and using repellents. But which repellents are effective and safe? Read the rest of this post at Learn Your Land. Categories: Foraging, Nature | Permalink.